Autism spectrum disorder (ASD) is a heterogeneous disorder characterized by repetitive and stereotyped behavior and difficulties in communication and social interaction. It is now one of the most prevalent psychiatric disorders in childhood, but it is also a lifelong condition, adversely affecting an individual's social relationships, independence and employment well into adult. A major barrier to creating effective treatments for autism is the lack of understanding of the specific brain mechanisms involved and how these are related to specific behavioral symptoms. 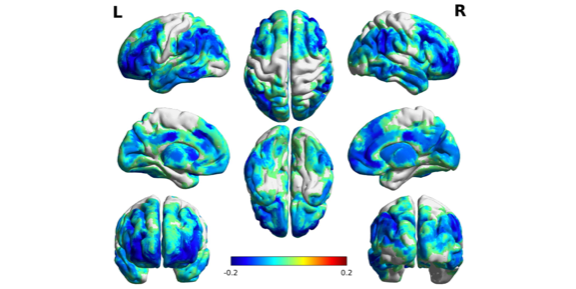 We propose to develop novel statistical methods for combining heterogeneous imaging and behavioral data to understand how properties of complex brain networks give rise to behavioral phenotypes in autism and other neuropsychiatric disorders. 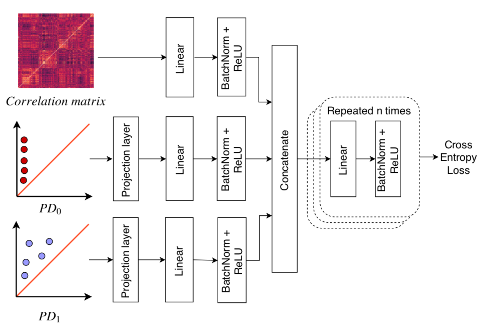 The first contribution of this project is to develop novel image analysis methods to extract individualized features of complex brain networks from imaging data. 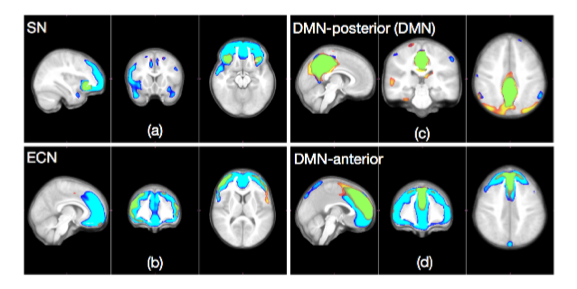 This includes powerful method for describing the shape of gray matter in brain networks based on diffeomorphic image registration and a rigorous method for inferring an individual's functional connectivity based on a hierarchical Bayesian model. The next contribution is a novel method to capture the topology of brain networks simultaneously across all scale levels of connection strength. 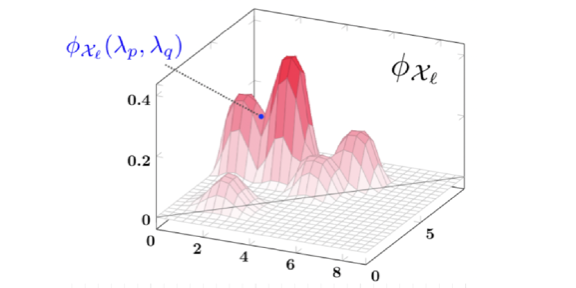 Finally, we will develop Bayesian statistical methods for finding correlations in high-dimensional and heterogeneous data, and we will use this to analyze the relationship between brain networks and behavior. This project includes a strong collaborative and multi-disciplinary team with expertise in computer science, statistical data analysis, neuroimaging, and clinical autism care. A primary goal of this project is to create open-source software that is used by the neuroscience community to advance research in understanding the brain basis of behavior in neuropsychiatric disorders. Public Health Relevance: This grant is focused on developing novel analysis of complex brain networks from structural and functional imaging and using this to link brain features to behavioral phenotypes. These algorithms will be used to discover brain biomarkers of behavioral traits in Autism and other neuropsychiatric disorders. In: Wu G., Rekik I., Schirmer M., Chung A., Munsell B. (eds) Connectomics in NeuroImaging. Additional Material: Supplement. Publisher Version. Nonparametric Aggregation of Geodesic Trends for Longitudinal Data Analysis. International Workshop on Shape in Medical Imaging (ShapeMI) at MICCAI, 2018. Best Paper Award! In: Reuter M., Wachinger C., Lombaert H., Paniagua B., Luthi M., Egger B. (eds) Shape in Medical Imaging. ShapeMI 2018. Lecture Notes in Computer Science, vol 11167. Springer, Cham, 2018. Riemannian Regression and Classification Models of Brain Networks Applied to Autism. Eleanor Wong, Jeffrey S. Anderson, Brandon A. Zielinski and P. Thomas Fletcher. International Workshop on Connectomics in Neuroimaging (CNI) at MICCAI, 2018. CNI 2018. Lecture Notes in Computer Science, vol 11083. Springer, Cham, 2018. Efficient Parallel Transport in the Group of Diffeomorphisms via Reduction to the Lie Algebra. Kristen M. Campbell and P. Thomas Fletcher. In: Cardoso M. et al. (eds) Graphs in Biomedical Image Analysis, Computational Anatomy and Imaging Genetics. GRAIL 2017, MFCA 2017, MICGen 2017. Lecture Notes in Computer Science, vol 10551. Springer, Cham, 2017. FlashC: A free C++ library of a fast diffeomorphic image registration algorithm, including the latest (2018) code on parallel translation. Visualizing Topological Profiles of Brain Networks (Upcoming, demo video available): Our tool aims to incorporate the usage of topological data analysis (TDA) with brain network analysis to complement traditional visualization and analysis techniques. Computational Geometry Young Researchers Forum at International Symposium on Computational Geometry, abstract presented, 2018. Autism Classification Using Topological Features and Deep Learning: A Cautionary Tale. Archit Rathore, Sourabh Palande, Jeffrey Anderson, Brandon Zielinski, P. Thomas Fletcher, Bei Wang. Bei Wang Invited Talk: Relating Functional Brain Network Topology to Clinical Measures of Behavior in Autism, at BIRS Workshop Topological Methods in Brain Network Analysis, May 7-12, 2017. Bei Wang Invited Talks: Topological Thinking in Visualization and Structural Inference of Point Clouds, at Topological Data Analysis and Related Topics (TDART), Advanced Institute for Material Science (AIMR), Tohoku University, Japan, Feburary 8-10, 2017. Bei Wang Workshop Organizer and Speaker, at International Workshop on Topological Data Analysis in Biomedicine (TDA-Bio), part of the 7th ACM Conference on Bioinformatics, Computational Biology, and Health Informatics (ACM-BCB), Oct 2, 2016. This material is based upon work supported or partially supported by the National Institutes of Health under Grant No. R01 1R01EB022876-01, project titled "Beyond Diagnostic Classification of Autism". 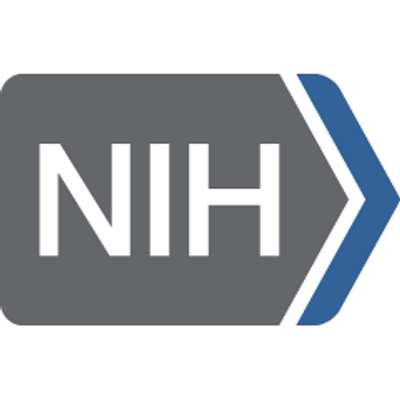 Any opinions, findings, and conclusions or recommendations expressed in this project are those of author(s) and do not necessarily reflect the views of the National Institutes of Health. Web page last update: April 10, 2019.